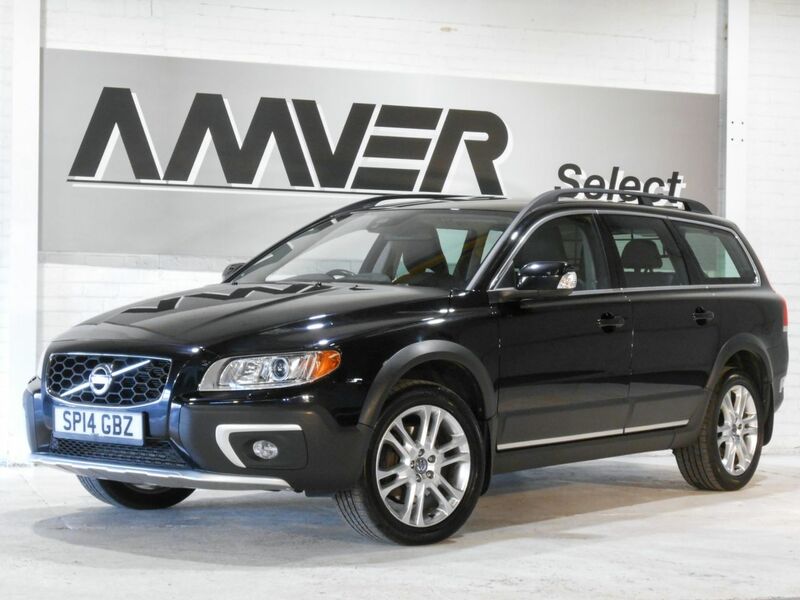 An exceptional top-of-the-line XC70 SE Lux with just 45,000 miles & full Volvo service history in black sapphire metallic with off-black full leather trim & milled aluminium fascias. Powered by Volvo's superb D5 diesel engine with all-wheel-drive, this is a supremely comfortable luxury wagon that is more than capable in even the most challenging driving conditions. Equipped with some very useful features like satellite navigation, heated front seats, electric driver's seat with triple memory, Bluetooth handsfree phone system, DAB digital radio, electric powered tailgate, cruise control, rain sensor wipers, automatic xenon headlights, electric folding mirrors, reverse parking sensors & more. A great looking example with Volvo 18" Pan alloy wheels, supplied with complete book pack in Volvo leather wallet, two keys & full Volvo main dealer service history. Low rate finance available with no deposit, subject to approval.